August 4-5, 2017. The Rogues’ Hollow Festival is an annual event which takes place the first Friday and Saturday of August. 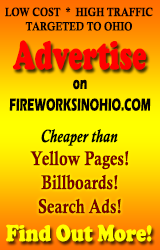 A parade is held on Friday night with Fireworks on Saturday night. Live entertainment happens throughout the Festival.